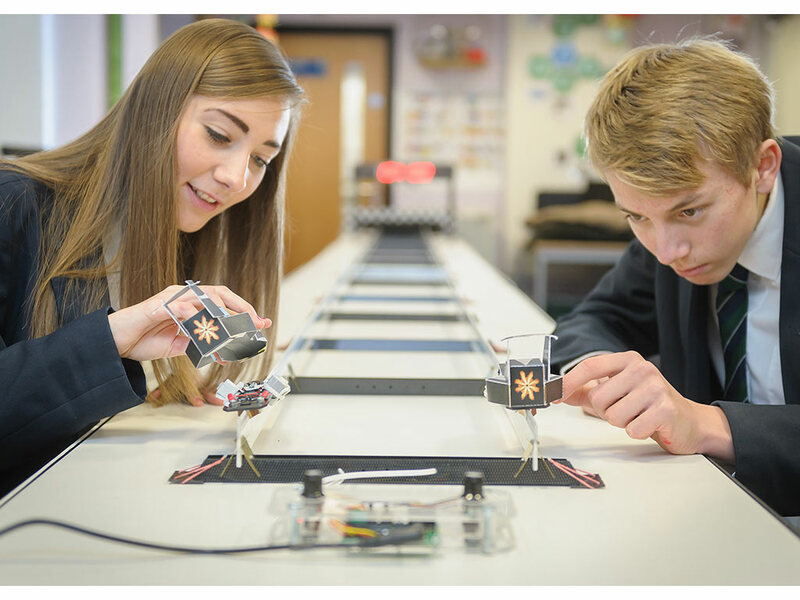 Developed in association with Stephen Hill, Head of D&T at Turnford School in Hertfordshire. This amazing system has been designed to put the WOW into a range of STEM activities. 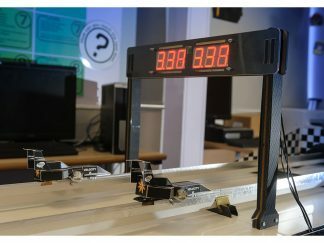 Using a simple friction drive principle, small electric vehicles running on an electrified rail can achieve astonishing acceleration and speed from a standing start. The rail concept has parallels with both large-scale linear rail transport systems and small-scale goods transfer lines used in manufacturing – and offers pupils or students unlimited opportunities to learn through a highly motivating and enjoyable technical challenge. 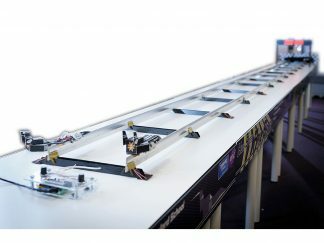 The system has two parallel rails so that vehicles can compete and their performance compared. 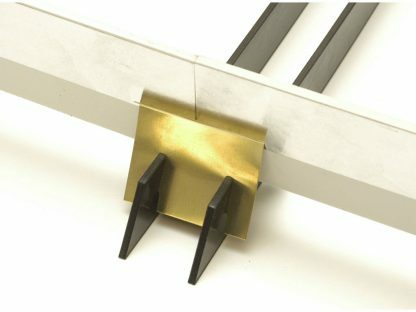 The rails consist of plastic strips, with an aluminium tape conductor either side, secured and connected by springy metal fishplates. Practically any length can be built up and – given sufficient ground area – can be formed into a circular track. The track can be energised from batteries or a PSU, but a custom–made dual rail controller has been developed to provide speed control, kick start function and an automatic acceleration and run program for competitive racing. The vehicles consist of a flat chassis plate running on the top of the rail and driven by two DC motors whose silicon tipped spindles engage directly with the track to provide drive. This is the principle that gives such impressive performance. 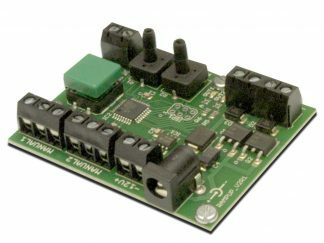 The system is supplied in kit form for self–assembly. The starter pack contains materials sufficient for 9.4 metres of track (4.7m dual track) including tape for electrification and two vehicles. It includes controller and PSU. 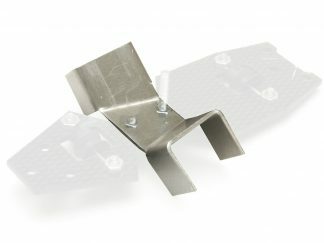 All the components, including the specially produced motor mount, are available separately – and all at low cost. 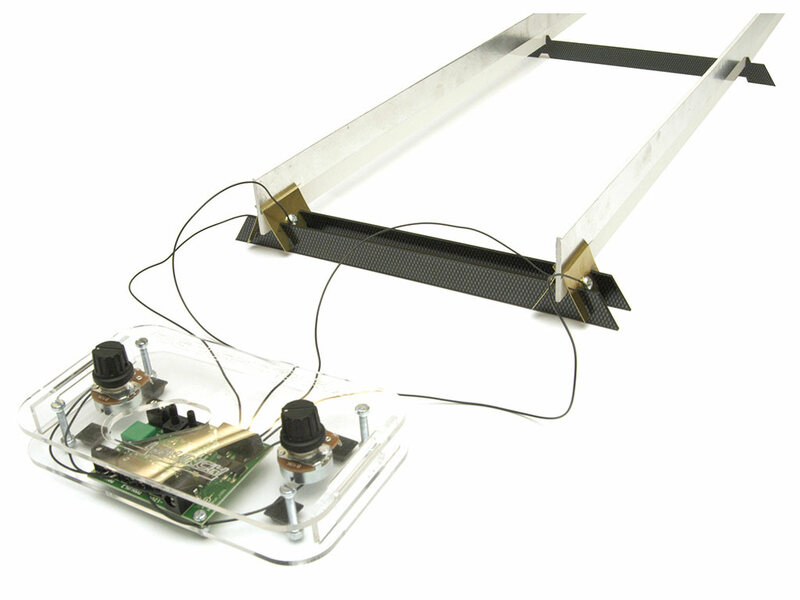 Students can design their own body shells and ultimately the chassis and drive system.